In a double-boiler, melt the beeswax (break into chunks). Remove from heat. Stir in turpentine until a soft paste forms (if possible, do this outdoors). Melt wax, linseed oil carefully in a double boiler. Remove from heat and add damar crystals and turpentine. Heat the oil in a double boiler. Slowly add the beeswax in small pieces, stirring until all the wax has been melted into the oil. Cobalt or CoZiCa drier can be added to speed drying. The consistency should be that of lard. Store in a sealed glass container. Oily or resinous ingredients; linseed oil or 3 parts damar plus 1 part Venice turpentine. Heat wax with caution, remove from heat and stir in oily or resinous ingredient. 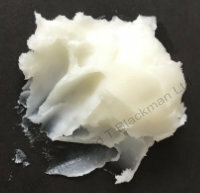 Added ingredients should not exceed 25% of wax consider wax to be 4 parts, oily/resinous 1 part. Melt the beeswax. Melt the resin and filter through muslin. Combine beeswax and resin, don't overheat. Cool before potting. Melt dammar and strain. Melt beeswax, oil, dammer in pan over water. Remove from heat add VT Allow to cool before putting in tins.